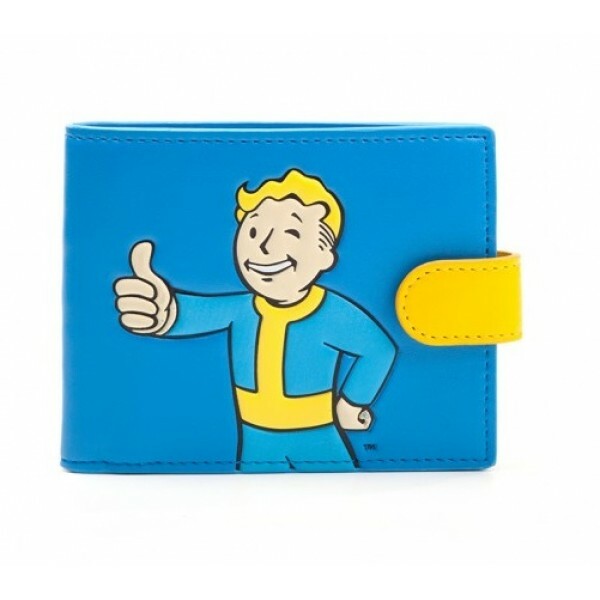 You'll want to keep your money and cards safe in this awesome officially licensed wallet which has a Vault Boy Approved motif from the Fallout 4 game on front and '111' on reverse. Made from PU and polyester materials for excellent durability and long life, with professional stitching and a pop-lock strap to secure to wallet closed. Simply open the wallet and you gain access to coin pouch, card slots and notes compartment.